GK Pulse - gorgeous template osCommerce based online commerce component VirtueMart developers GavickPro. 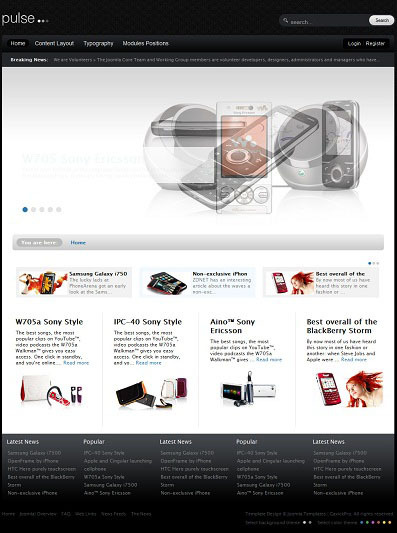 The original layout design is perfect for creating a website store. Proprietary platform Gavern pattern gives a special functionality, fast download speed and good optimization. Flexible modular layout will allow optimal place all the items on the site. Among the main advantages of the template is to provide a comfortable commenting code files, support for mobile platforms and different versions of browsers.